Disclaimer: The Chord Mojo was sent to me in exchange for Audiogarden.fr bannering on Headfonia.com, the unit can be kept in our collection for reference. We had to get the Mojo via a reseller as Chord wasn’t interested in sending us a Mojo for review. Nathan bought his unit himself. We’ve seen several very successful products from Chord such as the 2cute DAC, the Hugo, Hugo TT and of course the TOTL reference DAVE. 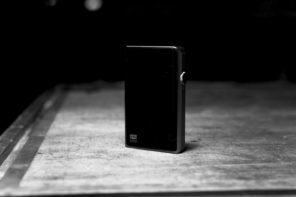 Now Chord is back with their smallest and most portable DAC/Amp unit ever released and it was developed especially for use on the go with your phone. A lot of people are using their phones as source nowadays and for a while I feared that phones would completely take over DAPs. Lately however we’ve seen so many new good and affordable DAPs that – at least for now – DAPs still seem to rule the audiophile world. The good thing is Mojo works with a whole lot of different sources and you can basically use it with any device, but more on that later. No this isn’t the first time we feature the Mojo. In fact, Nathan has looked at the Chord Mojo a few months ago already and he absolutely loved it. 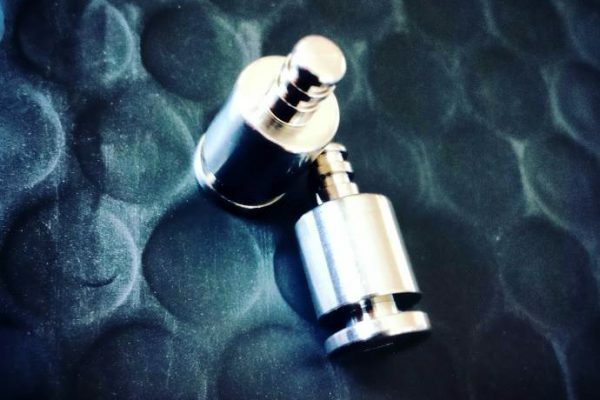 He also did a follow up article on a Japanese balanced Mojo MOD he loved even more. A lot of people however kept asking me about my own opinion on the Mojo and so our friends from AudioGarden.fr sent me over a unit to have a closer look at. Nathan and myself have a completely different style of writing, so do read up on both his articles first as he surely touches points I won’t elaborate on. The Mojo still goes for about $599 USD. How do we feel after a few months? Is it still as hot? Mojo was launched in London during a very big event in of the more famous hotels. We weren’t invited but it is clear Chord Electronics wanted to put the Mojo on the worldwide map since day one. 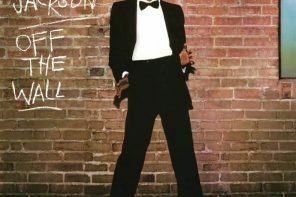 Looking at where the Mojo is a few months later, Chord has certainly succeeded in making the Mojo a big hit. 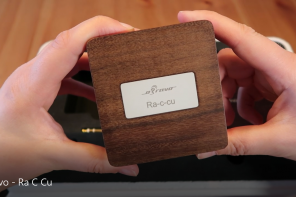 Chord is especially famous for making its own top quality DACs using their FPGA technology, they simply don’t use any out-house developed DAC chips like those from Sabre, AKM, Cirrus, etc. and so far this has really been paying off for Chord Electronics. 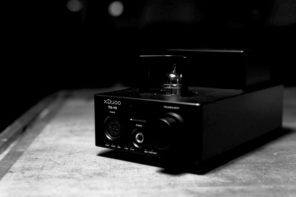 I love the DAC – if I may call it that – inside the Hugo a lot but tech-wise the new Mojo’s DAC is a few miles ahead of the Hugo. Even though the Mojo was mainly developed for use with smartphones it, just like the Hugo, is all about versatility. Mojo also works with your Windows or Apple PC and it can be connected to DAPs over optical, coax and USB. A lot of people simply use the optical or coaxial out from their DAP to the Mojo. Recently Astell&Kern made the USB-out available from their AK70 and AK380 DAPs and because of that the number of AK70/Mojo setups seems to have skyrocketed. Just look for AK70 on Instagram and be amazed how many people hook it up to the Mojo. Dignis even developed a leather AK70/Mojo case, which says enough about its popularity. Mojo has 3 digital inputs. 1 x TOSLink optical capable of playing 44.1KHz to 192KHz PCM and DSD64 in DoP format. 1 x 3.5mm COAX SPDIF capable of playing 44.1KHz to 384Khz PCM (768KHz special operation) and DSD64, DSD128 in DoP format. 1 x micro USB capable of 44KHz to 768KHz PCM and DSD64, DSD128 and DSD256 in DoP format (which is far more than the Hugo can decode). Driverless on Mac, Android and Linux OS. However Windows Vista, 7, 8, and 10 will require a driver. DSD playback is supported using the DoP Standard 1.0 with 0xFA / 0x05 markers. The Chord Mojo is beautiful. Chord uses top quality materials and the Mojo is very well machined. The unit feels smooth and soft and it’s a pleasure to hold, 100% made in the UK. On the top of the unit you immediately notice the three buttons which actually are tiny turnable balls. These “balls” have several uses: First of all there is the power button (hold for 2 seconds to turn on) that lights up when it is receiving data. When it does so, it shows you what type of sample frequency is being received by changing the color of the ball. You push the ball to select the proper input. Basically the Mojo uses the same color system as the Hugo does. The other two balls are there to set the volume. Mojo allows you to set the volume extremely precise with a lot of steps. By pushing down both these buttons during power up, you’ll set the Mojo to be used as Line Out (3V). Once powered on, pushing both volume buttons changes the brightness of the Mojo balls. On the bottom of the unit, Chord has already added 4 small rubber feet so the unit doesn’t hurt the device you’re stacking it up with and it helps stabilizing the Mojo on your desk. On the front of the unit you’ll find both 3.5mm single ended outputs and on the back from left to right there are the Coaxial Input, the USB-input, USB-power and the optical input. I do hope to see a Rev. 2 of the Mojo with a balanced output one day, I hate switching back to 3.5mm cables with my monitors. Battery wise the Mojo loads in 4 hours and that gives you up to 10h of playtime at most. The Mojo can be used while it is charging but it will get a little hot when you do that. The Mojo does have an inbuilt thermal cutout for safety. Size wise the Mojo measures 82L x 60W x 22H (mm) and weighs around 180grams which makes it a very small and powerful package. It is so small in fact that it looks weird when stacked with a modern smartphone. It pairs perfectly with the AK70 on the other hand. Compared to the Hugo the Mojo is small. While I love the look of the Hugo, especially when it in its leather jacket, the Mojo simply is more beautiful. I’m not a fan of the new Mojo jacket though. thanks for the review and out of curiousity, would an amp like the Violectric V100 or a portable like ALO’s National/International give the mojo more “juiciness” (organic, earthy mids)? I’m currently using the mojo with the audeze LCDX and HD650, and ALO greenline throughout. looking forward to your feedback!! thank you for your prompt response !! btw, do you have any idea if the Lake People 109 would be an affordable alternative for the violectric in terms of tonality? or you do get what you paid for. Excellent review. 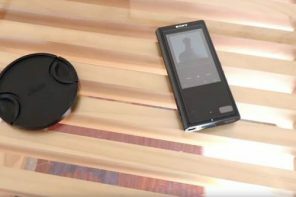 My only dap is the Sony ZX2 and I have found that I prefer the sound coming directly out of the ZX2 using my balanced Noble K10’s. However I have a pair of Audeze Sines which the ZX2 simply does not drive very well and it is then that I turn to the Mojo to provide the power. Just wish there was an alternative as there are not many cable options to hook up the ZX2 to the Mojo. I suppose i could change the dap but I like the sound of the ZX2 so maybe I need to change the amp? The HA-2 ain’t bad, but for sound it’s more like a $150 amp than a $300 amp. It certainly looks nice and mates well with a similar-size phone. The original AK100 is a perfect fit sizewise and with 32GB + 2 slots (SanDisk 200GB) = 432GB. Not bad for small portable stack. I switched to an AK120 Titan – a little bit taller but it has 128GB internal storage for a total of 528GB. Great and spot on review. I too prefer hugo over mojo a lot. I’d like to know more about the HD800(S)/HUGO combo as l’m looking for a headphone to pair with my hugo. 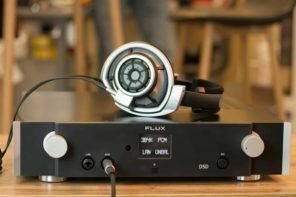 Does hugo has enough power to drive HD800(S) its full potential? I had demoed the hdvd800 and quite like its sq. How do u compare them? It seems we’re the minority though. Mojo is loved by a lot of people. I wouldn’t say Hugo has the same ability to power the HD800(S) like a full sized desktop ss or tube amp but the synergy with the Hugo is there. Hugo makes it sound more like a tube amp makes the Senns sound, but I like it very much. Full potential, I don’t think so. I’m not a fan of the Sennheiser amps. they’re not bad at all, but they have nothing special going for them either. Just “another” amp. I don’t have the Mojo, but since there’s not a lot of info on comparisons, I figured I’d add this – my new DragonFly Black sounds very similar to the Oppo HA-2, except the HA-2 has more treble ‘splash’, being possibly brighter or maybe having more distortion. In any case I like the DF Black better. But I also have a AR M2 music player in the house that beats both – very smooth treble with just as much detail as the DF and HA-2, but less irritating. 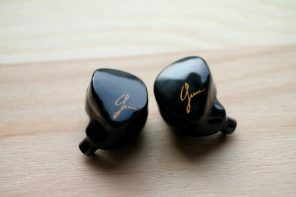 The DF Black is a super deal compared to the HA-2 which costs 3 times as much, so if the DF Red is better than the Black, the Red might make a good comparison to the Mojo. Can you please compare Mojo with Fiio X7 / Fiio X7+Picollo? My headphones are ATH-M50X and Fidelio X2. Thank you. Nice article Lieven. For me the MoJo would’ve been hot if it’s price was at around $400 or so, especially since the Celsus Sound Companion One is now available at $349 and it’s wireless. I hope more manufacturers follow that route. I agree, it’s a tad too expensive for the SQ but it it very versatile and small. was going to sell my ifi IDSD (paired w Ether Cs) and decide between Mojo, Hugo or ALO CDM as the total solution-not a combo of any of the foregoing. 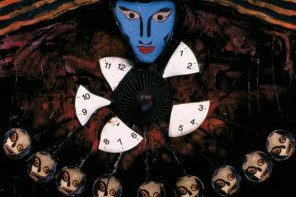 With your reviews, I lean now more toward the Hugo (wondering if they would modify to decode higher-res files tho?) 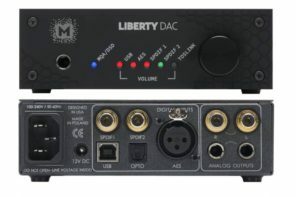 now that the price has dropped, or ALO CDM with the Mojo in 3rd place….I go mobile with android/ USB/Tidal frequently but just as frequently use the DAC between my PC (Tidal source) and my full size Classe amp/preamp and Sonus Fabers in my office setup. In one simple recommendation-which would you pick for those multiple uses without going crazy? (also-I wont tube roll, EVER) once I get it right, Im kinda done…. Unless you are looking for a “colder tonality” Mojo and CDM would be preferable to Hugo, my experience was validated by Dan (MrSpeakers) who said on headfi that Mojo is much better than Hugo when paired with the Ether C.
My introduction to this level of audio equipment came about while researching my potential purchase of the Oppo HA-2. I had been looking for a DAC/AMP for my Android Nexus 6 at the time. The only problem was all the reviews I read up until then were mentioning something called the Chord Mojo and how it was a DAC to be considered. My interest was piqued. A few further reviews but now primarily on the Mojo git me doing something I very seldom do, purchasing blind. Personally I have not regretted my decision once. I have owned my Mojo since November 2015 and at the time the TOTL DAP was the AK240. I had since purchasing my Mojo compared as best I could side by side the Mojo and Nexus 6 with the entire AK range at one sitting and personally preferred the Mojo especially when taking into consideration the expenditure £399 v £2500. During this sitting I compared headphones from the Grado SR325e, Audeze EL8, Shure SE535, Sennheiser IE800, Audeze LCD2 and Sennheiser HD800 with the Mojo performing amicably with all. All things considered, SQ alone I have found very little to better the Mojo and I have to include the later AK players which I since listened too. For me it’s the sound stage, imagery and details provided that has not been artificially widened but IMO a truer 3D image of the music as was meant to be. If anything it justifies my love of the Mojo (at 3-4 times the cost an AK380 is way out of the question) but I’m now also very interested in a Hugo for my brother. I was worried that the added cost wouldn’t be worth it, but I think from this review you seem to say it still is. Heck, if I was loaded I probably would’ve got the Hugo instead but the Mojo was at the upper limit of what I could afford and justify and I’m still very happy with it, especially because I don’t mind a darker or more congested sound and I plan to use it with IEMs mostly whereas my brother is mainly interested in full size. How to compared with X7 + Am2?? Am I right in thinking the lights can’t be turned off while the unit is on? Thanks. Another great review Lieven! I enjoyed the read. Been toying around for a while about getting a simple 2nd setup since there are a couple of used Mojo’s going for decent prices over where I’m at. Although I can’t help but think about the Hugo. 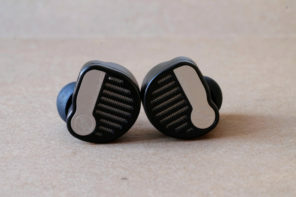 In your experience, how is the Hugo with very sensitive IEMs? In terms of gain / noise (quiet background). thanks!. SQ wise I prefer the Hugo but the Mojo is easier to use. 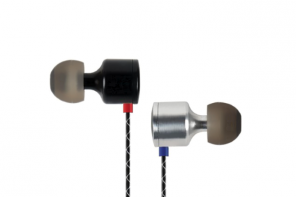 It also is more silent with very sensitive iems, that’s disadvantage the Hugo unfortunately has. What IEM do you think will be an issue? How many more times can you tell us the Hugo sounds better? I’m not stupid, I didn’t think Chord were having a laugh by charging £1000 more for the Hugo. But if people’s budget is £400 they don’t want to constantly hear that it’s not as good in this way and that way or the other,this only spoils the excitement and makes it seem like they are purchasing an inferior product. Btw Jeff, Lieven just said Hugo better in some regards, he did not say Mojo was a inferior product, so don’t take it seriously. One thing Lieven didn’t mention and Mojo really shine over Hugo. 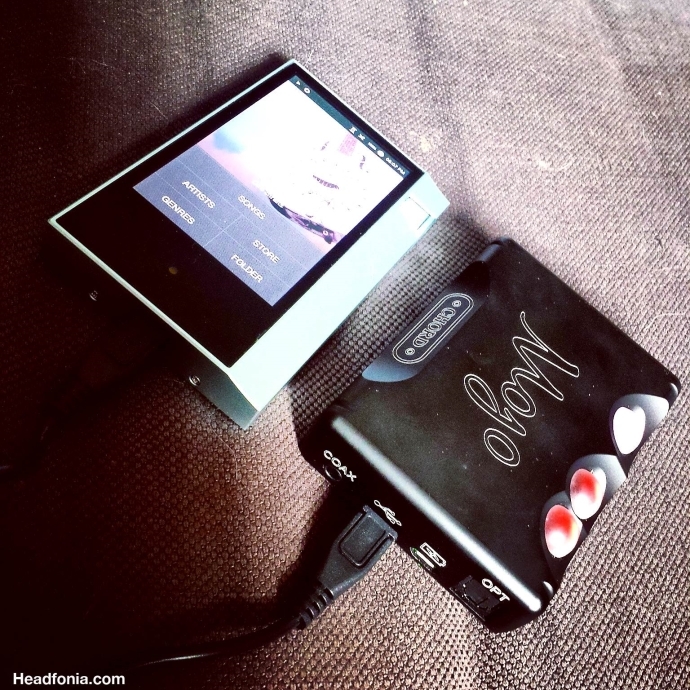 Mojo is a much much more portable/mobile dac, only about 1/3 of Hugo size. 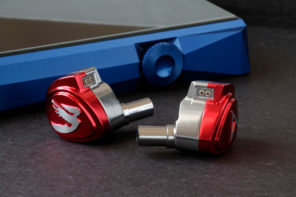 Hello and thank you for this review , i have one question , i have the ak 70 , i have connected it with the Mojo by an micro usb but when i play my dsd they became 176… why? 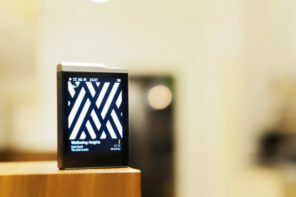 Donyou think the Mojo is a good match for the Audese LCD-XC? And what about the Hugo with the XC? XC and Mojo not really, but with the Hugo it is very nice! What is best headphone combo with Mojo? I have mojo with DT770 AE. I think with DT770, mojo don’t show it’s full potential. I hate to just recommend a higher price, but in this case it makes perfect sense. The new Beyers like the DT1770 and the Amiron are “Tesla 2.0”, and will give you a clear, smoother sound with a tighter bass. I have the DT1770, which complements the closed-back DT770ae very well, although the Amiron is open-back. Thanks for the advise, i also consider to buy DT1770. But i still curious how planar sound. Is it good combo with HE400i or maybe with more expensive HE560 ? Thanks for the advice. Really appreciate it. I will try to audition the Amiron and HE400I. 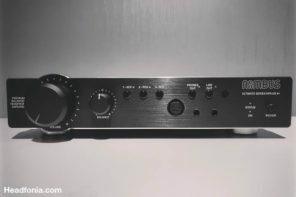 Can you please suggest the best DAC/amp or DAP for Shure SE846? Got a Mojo with the beyerdynamic DT1770 and I think it’s hard to find a better combo for the ????. I know €1000 is a lot of money for the most people, but it’s worth every penny. 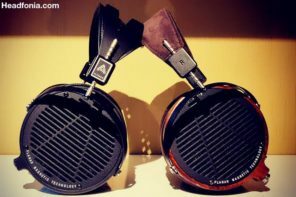 Mojo vs Hugo is not a fair comparison, €1790 vs €499 is a big gap. But they have the same DNA. First at all thank you very much for all your very interesting reviews. Do you think the Mojo is a good match with my Ultrasone Edition 8 ? 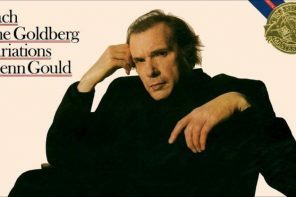 If not, do you have a another suggestion ? I use a Galaxy S7. Thank you. Honestly, the Ultrasone isn’t for me at all. So I can’t really recommend anything for it. Comparing DF red & mojo as I have both .DF red is great ,nice full sound & good separation but mojo is more than double in price and is better in every sense by a good margin.A far more audiophile device. Hello I’m from Indonesia. I want to ask about your opinion. 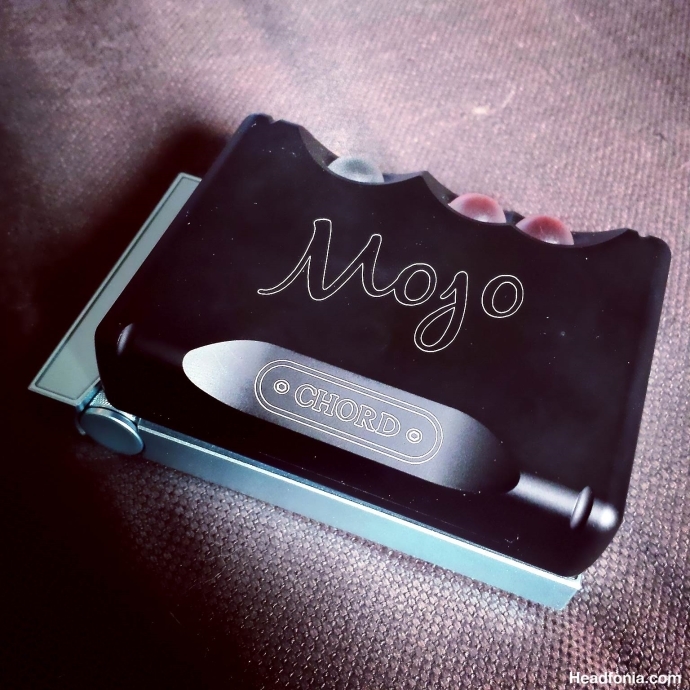 Is a smartphone or portable player more suitable combined with Chord Mojo? I personally often use iPhone and AK 70 when using Chord Mojo as a daily device. Is there a difference in sound quality if I use a different source outside the file I use? Thankyou for the response. I honestly ask like this because I am arguing with my friend. According to him there will be no difference in sound because it will still be the same. The difference is the last output, whether we use iem or headphones. But I disagree. Because in my opinion there are still different voices through the iPhone or DAP. For iem, which is more compatible with Mojo, is it Layla or Kaiser Encore? Please give your opinion. Lot of people now having issues with the Mojo. Battery seems to die just after12 months. Mine will not output sound . Seems to be a lot of complaints around the same issue.